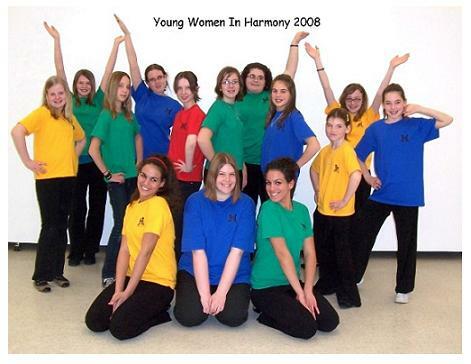 THERE IS NO LONGER A LONDON CHAPTER OF YOUNG WOMEN IN HARMONY, BUT I WILL KEEP THIS PAGE LIVE FOR NOW. Do you have a daughter who loves to sing? Is she between the ages of 10 - 18? Would she like to be part of a girls' Choir? (YWIH) are now auditioning for new singers for their 7th season. "Singing is Life, the rest is just details ......"
enjoying themselves during an impromptu song!